November 28, 2014, New York – Fashion One, the premiere fashion, entertainment and lifestyle international broadcaster, is announcing its annual year-end list of the most influential fashionable figures of 2014. Which celebrities made it to our lists? Who are the designers that defined this year’s fashion industry? Join us on our countdowns to find out! 2014 has been a notable year for the fashion industry. The most respected designers, from the established and influential, to breakthrough names, have been very busy not only creating collections but also creating headlines with their milestones and accomplishments. Michael Kors became the fashion industry’s latest billionaire. Victoria Beckham opened her first store and topped Management Today magazine’s list of Britain’s 100 foremost entrepreneurs in 2014. Alexander Wang celebrated H&M’s 10th year of high-end fashion designer collaborations with a very successful collection for the Swedish retailer. These and more noteworthy fashion masterminds of the year make up the network’s list in the Top 10 Designers of 2014 countdown special. From the runways in London, Paris, Milan and New York, we go straight to the red carpets in Hollywood. The Top 10 Stylish Celebrities of 2014 reveals the entertainment industry artists whose fashion sense and trending style made an impact in the fashion grapevine. Lupita Nyong’o started the year donned in designer gowns during the awards season and topped the best-dressed lists. Pharrell Williams’ cool and chic style paired with his signature hats has definitely caught the eye of the fashion scene including Japanese retail brand UNIQLO. We cannot ‘shake off’ 1989 music pop star, Taylor Swift, from the most stylish list. She not only smashed the music billboard records but also conquered the style charts. "Our annual top 10 countdown of the industry’s best marks the conclusion of another successful year in fashion history,” expresses, executive producer Ashley Jordan, “Come 2015, the fashion bar has been set high and we will be there to bring the latest events and happenings in fashion and entertainment to our viewers worldwide." Top 10 Stylish Celebrities of 2014 and Top 10 Designers of 2014 will air on Dec. 24 & 31, respectively, Wednesdays at 21:30 (GMT+8 for Asia / GMT+1 for the rest of Europe), exclusively on Fashion One, FO and Fashion First. Check your cable operators for your local TV channel listing. 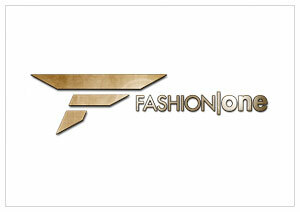 Top 10 Stylish Celebrities of 2014 and Top 10 Designers of 2014 are part of Fashion One’s original programming annual specials, created by executive producers Michael Gleissner and Ashley Jordan, with Aida Murgia as producer. Last year 'Scandal-ous' star, Kerry Washington, topped our most stylish celebrities list with her sophisticated fashion choices that have captured the attention of fans around the world. This year, a lot of chic, gorgeous and fashion forward celebrities have impressed us but only a few are destined to be style icons. Who will reign in the Top 10 Most Stylish Celebrities of 2014 list? The verdict is out! Take your pick. In a year full packed with great fashion events and unforgettable runway shows, we were able to narrow the list down to the top designers who left their marked in the 2014 fashion calendar. From the most respected figures in the industry, those most established and influential, to breakthrough names, we will guide you through the highlights of all that happened the past year in our Top 10 Designers of 2014 special.